Companies have the right to discuss how many information requests they receive from the government, with one exception: when those requests are related to national security. Now Yahoo has joined Microsoft and Google in suing the U.S. Department of Justice for the right to reveal the numbers of national security-related requests it receives. In a press release published today, Yahoo said it's "demanding greater accountability" from the U.S. government. But the suit was filed in the secretive Foreign Intelligence Surveillance Act (FISA) court, ensuring that little information from the case will reach the public. The exact powers and privileges of the clandestine FISA court are unclear, and other, similar suits filed by Microsoft and Google have led nowhere so far, according to tech and politics blog GigaOM. But these companies and others have attempted to show their dedication to transparency by filing lawsuits, appealing directly to the U.S. Attorney General, and releasing detailed transparency reports. 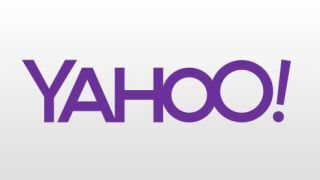 Yahoo published its own transparency report last week, divulging that it received more than 12,000 data requests from the U.S. government alone between Jan. 1 and June 30, 2013. "We believe that the U.S. Government's important responsibility to protect public safety can be carried out without precluding Internet companies from sharing the number of national security requests they may receive," the company said in today's press release. "Ultimately, withholding such information breeds mistrust and suspicion — both of the United States and of companies that must comply with government legal directives." Should you be scared of Prism?